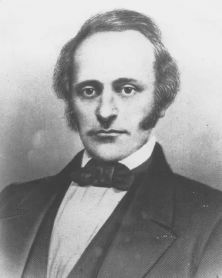 Governor, 1859-61. 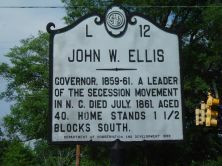 A leader of the secession movement in N.C. Died July, 1861, aged 40. Home stands 1 1/2 blocks south. 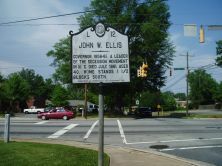 By early March deteriorating relationships had convinced Ellis that the state soon would have no choice but to join the Confederacy. When President Lincoln called for troops in April to put down the insurrection, the governor placed the state’s sympathies with the South. After answering the president “You can get no troops from North Carolina,” Ellis ordered state troops to seize all federal forts and the Fayetteville arsenal, closing with a telegram to Confederate President Jefferson Davis, indicating that the state would support the Confederacy fully. All that was left was to make secession official at the May 20 convention.